Enjoy 8 Pecan Pralines packaged in a colorful Gift Tube. 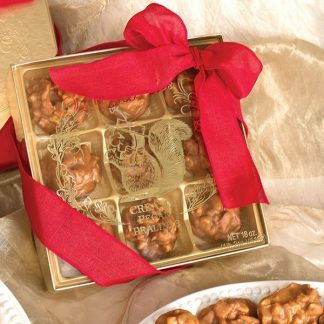 Each Creamy Pecan Praline is 1 ounce and is loaded with pecans. The pieces are hand-dipped and individually wrapped. The original family recipe is still being used today along with the finest all-natural ingredients. Preservatives are never used. 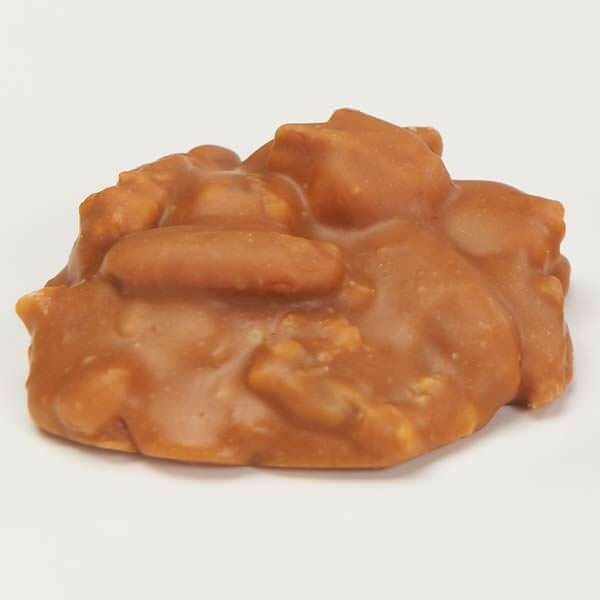 The unique, creamy texture is one of the reasons why more than two million Creamy Pecan Pralines are sold every year. 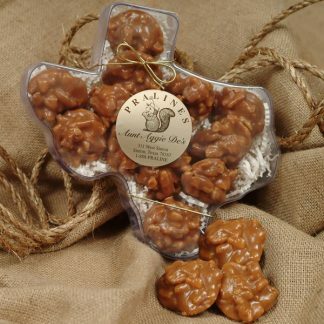 Named “The Official Best Gourmet Praline and Pecan Candy of Texas” by “The Official Best Of” series. The segment was featured on The Discovery Channel nationwide. Creamy Pralines have a shelf life of three weeks and can be frozen up to a year. The mission statement for our Texas Work of Art Foundation is to promote, preserve and advance art and music education in accredited Texas schools. The Texas Work of Art Foundation is excited to be in the position of supporting this much-needed education niche. Thank you for your interest in supporting this generation and future Texas generations in their pursuit into the wonderful world of art and music.